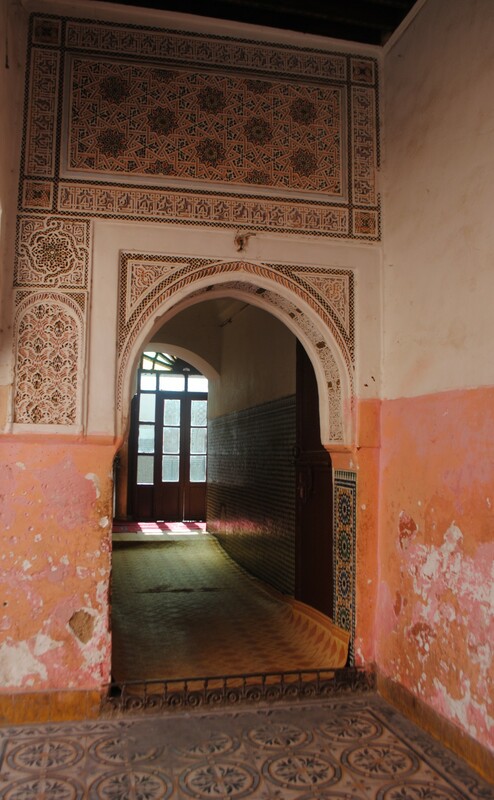 The Amal Center is a non-profit training center dedicated to training disadvantaged women in Moroccan cuisine and pastries. We are located in Marrakesh, Morocco, and open for lunch 7 days a week. Find out more by emailing me at amalnonprofit(at)gmail(dot)com or check us out on facebook. Marrakesh homeschoolers, are you out there? Thank you to all those who wrote to ask if we are ok. Physically, yes, we don’t live anywhere near Cafe Argana on Jema el Fna. But I am so stunned by the events that happened today. First we heard reports that a Buta gas bottle had exploded in the Cafe. Such a horrible thought. But even more horrible is the reality that emerged as the day went on. Not a gas bottle but a criminal act; an official death toll of 15. We heard from a friend who happened to be in Jema el Fna at the time of the explosion. He was one of the first to rush in and help evacuate the stunned victims. He spoke of the French mother who had lost her 10 year old daughter. Heartbreaking. Moroccans today are outraged at this act. Callers on the local radio channel Radio Plus that covered the event all day were all adamant in condemning this crime. Their message is clear, one voice saying, this is NOT from our ways, our religion, or any religion. All are calling for justice. For those in Marrakesh who want to help, there is an urgent need for blood donations, especially O- at the Hopital ibn Tofail. There are as many as 20 critically injured victims being cared for there. I pray for those souls that departed today, may God’s mercy and gentleness envelop them. For all those who lost beloveds, I cannot fathom your pain, my heart is aching for you on this day of sorrow. All praise to the Merciful and Compassionate, and peace and blessings on our beloved prophet Muhammad. Today is a day of joy! My sister’s brother in-law has been released from prison after serving 3 years as a political detainee. He had been sentenced to 20 years, then 10 years after appealing. Words can’t describe the immense waves of joy that are washing over his family and loved ones. Here is a photo take from Hespress.com (Moroccan online news site). Abad is holding his son on the left and my little nephew on the right. His son is 9 years old, and hasn’t seen his father out of prison since he was 6. I think they are all pretty stunned. They are at a press conference immediately following Abad’s release. I thank God the Merciful. I thank the people of Tunisia, Egypt, Libya, Bahrain, Yemen who are risking their lives so that things change on a deep level, so that no more people will be imprisoned for political reasons. I thank the people of Morocco who protested peacefully to bring about change. I thank the King of Morocco for initiating the constitutional reform that lead to the freeing of these detainees. I thank the National Human Rights Council (CNDH) which recommended the pardons to the king. I had written about Abad’s case a little on this blog a year ago (when he had undertaken an 18 day hunger strike, here and here), but then stopped doing so because there was no good news to report. How about this for a happy ending?! It’s wonderful and momentous to feel the winds of change blowing through this land. Over two years ago, my sister’s brother in law was arrested, for no clear reason. He’s a pharmacist, in his late 40’s, married with three children, and was a member of the major opposition political party, the PJD, which frankly is a thorn in the side of the Moroccan government. I’m not going to go into the details of the trial, honestly I’m not even sure what he’s being charged with. But it’s been a huge burden on their family, and by extension, to a much lesser degree, on me also. I have to actually be pretty careful about what I write about it…bloggers have been imprisoned for less. Anyway, what I can say is that about three weeks ago the prisoners started an open ended hunger strike. They would go without food until they were promised a fair trial. I got updates from my sister, who saw them regularly in court, in Rabat, Morocco, where all is taking place. Every time I sat down for a meal with my family, I thought of the prisoners, and how they must feel, one day without food, two days, a week. One day, about a week in, my sister’s brother in law collapsed and was taken to a hospital. They hooked him up to an IV, which he removed as soon as he was conscious again. Another day he was meant to appear in court, but instead he was held back because the prison guards insisted he needed to see a doctor. He waited and waited, but there was no doctor. Instead, a statement was read in court that said that his medical condition prevented him from appearing in court, so the hearing would be postponed for a week. When he heard this, and realized that the whole thing had been rigged in order to postpone the court date and weaken the prisoners to breaking point, he was furious. At that point he took an oath to stop drinking too, until something changed. The judge allowed the family to go in and see him at the hospital, which was a big exception. My sister said he was gasping for each breath, and yet, surprisingly his thinking remained clear and logical. The judge said to them “beg him to eat”. Finally, after 24 hours with no water, and at the pleading of his wife, he agreed to drink again, but that 24 hrs left him much weaker. By the time his day in court came around, he was on the 16th day of the hunger strike. His skin had turned yellow, then a greenish hue. Because it was the third week, organ failure was imminent. He could barely stand, but did so with immense effort. It was an intensely emotional scene. Within a few days, the prisoners received the best news they’d had yet since the trial began two years ago: they were going to get a fair trial! What a breakthrough! I know that his family just about collapsed in relief. I felt like a tightness around my heart was loosened. I honestly didn’t think that the hunger strike would have any impact, but I’m so happy to be wrong about that. Finally after 18 days without food, the prisoner have started to eat again! I’m so in awe of their strength and will. What does it feel like to be so desperate that you stop eating? What physical and mental states do you go through? What spiritual states do you experience? Do you forget what food tastes like? What does food taste like after an 18 fast? What do you eat first? I’m amazed to have witnessed this process, even from afar. I can only hope and pray that God brings even more ease and opening to these prisoners. Please keep them, and all other political prisoners, in your heart, in your thoughts and in your prayers.